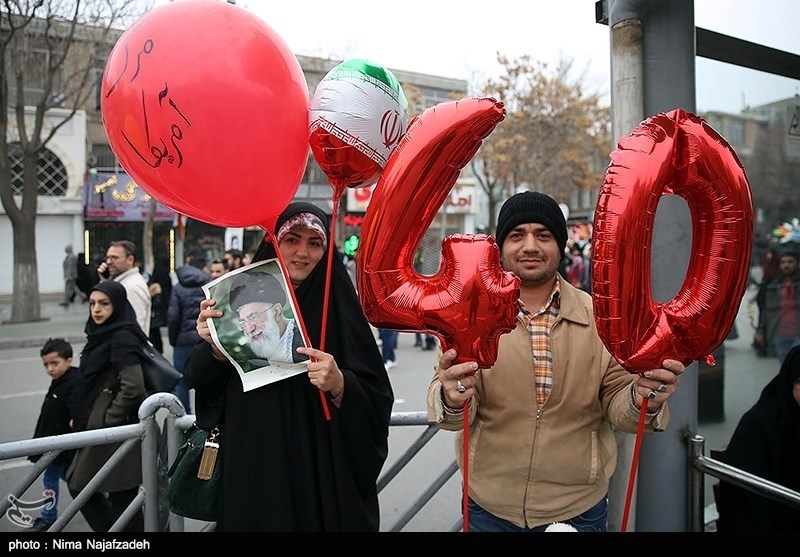 On February 11, Iranians took to the streets across the country to commemorate the 40th anniversary of the Islamic revolution. The popular uprising, led by the late Ayatollah Ruhollah Khomeini, led to the ouster of Mohammed Reza Shah Pahlavi and ended centuries of dynastic rule. 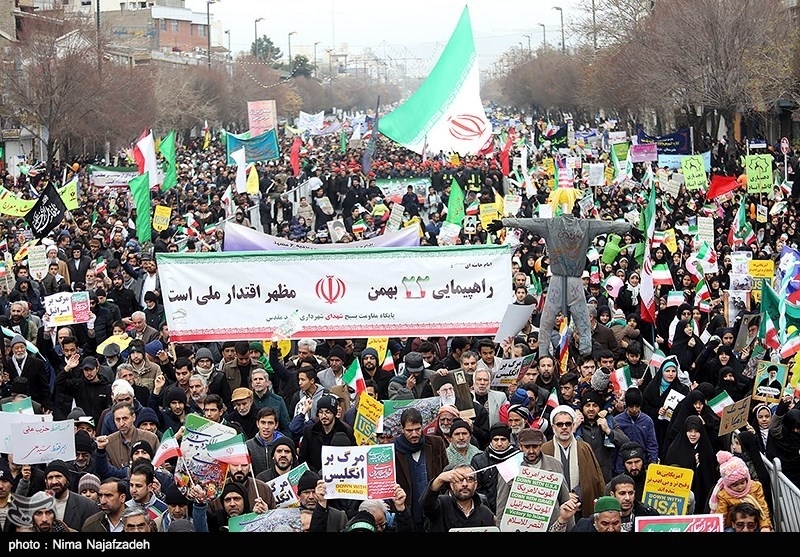 Each year, Iranians hold mass rallies across the country and the president addresses the nation. President Hassan Rouhani touted Iran’s military strength and ability to defend against foreign influence and invasion. “We have not –and will not- ask for permission from anybody for improving our defensive power,” he said. 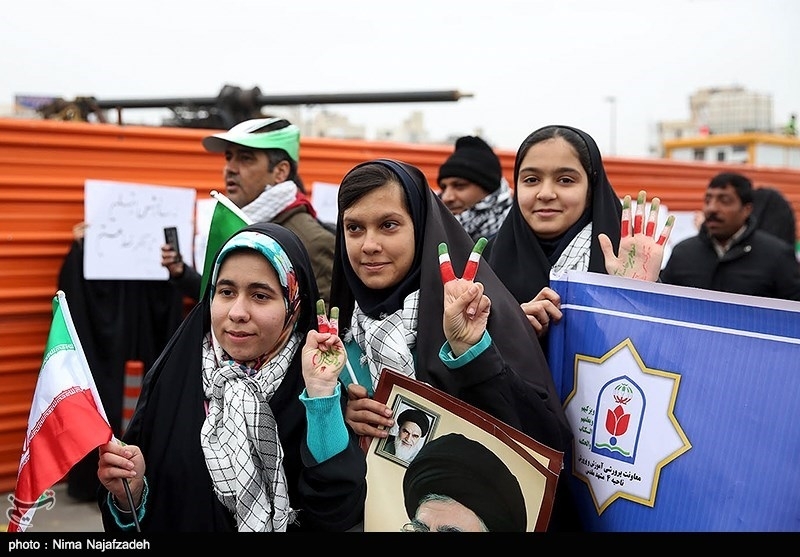 “We will continue this path and I say this clearly to the people of Iran that Iran’s military power in the past 40 years, especially in the recent 5 years has amazed the entire world.” Rouhani also praised the country’s political system. 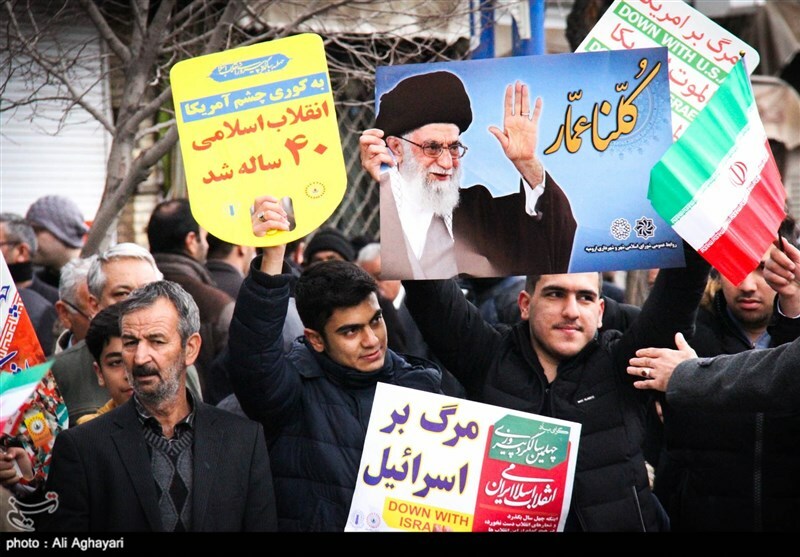 “Today, we have a true democracy in Iran,” he claimed. “Parties, newspapers and the media are free in this country and all authorities must approach elections with an open mind. The following are photographs from the rallies. 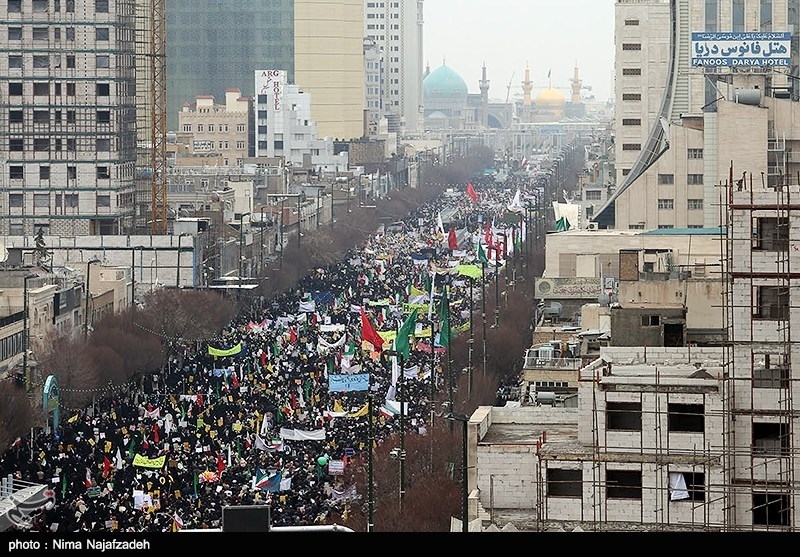 President Hassan Rouhani joined the march in Tehran.